Quinphonic Festival is one of those days that I just love. The mere concept is great, five exceptional acts each to perform a full headline set. It’s just great. I attended the first one last year and had a ball of a time. With all of the acts bringing their A game to the stage. So imagine my surprise when I find out that the second edition of festival would take place on my birthday. All I had was glee. Getting to some of my favourite acts, such as Wildpath, was one hell of a way to celebrate. Leading up to the festival two acts sadly dropped out, Evenoire and Hydra were replaced with French bands Beneath My Sins and Alwaid. Then upon arriving to the festival I find out the Dakesis sadly had to pull out as well. Leaving only four bands for the day, with extended setlists. Luckily there were no more drop-outs or difficulties so the day began. Beneath My Sins, previously known as Evolvent, hit the stage. As the first band of the day they have the easiest and the hardest job. Easy, as there are no expectations to live up to yet but it’s a hard job as you are the pace setters for the day. They absolutely nailed it. Even though the live production wasn’t the best as not everything came through clear, I still feel they did a really good job. Vocalist, Emma Elvaston really grabbed my attention and trust me she had it to the bitter end of their set. Her vocals were pure and beautiful and there was so much power behind her it was really great to hear. The band behind her, consisting of Clément Botz and Jonathan Connell on guitars and Boris Devon on the drums, put on a great performance as well. The melodies flowed from them and the the technical work was awesome to watch. They just gelled so well together and made the set feel massive. The crowd warmed to them almost instantaneously and gave them a great atmosphere to work with. Always clapping to the beat and giving them heartfelt and well deserved cheers. The only problem I had with their set was that their live production was a little muddy and unclear here and there and that really was a black spot on what was an otherwise fantastic set. This was a great introduction to them and I look forward to hearing more from them. Clearly one of the big names of the day and with an upcoming UK tour it only made sense for Alwaid to get such a huge reaction. I first discovered them at Valkyrian Festival in 2014 and I knew I was going to see them again one way or another and I knew they were going to blow minds, and they did. The crowd was already anticipating the set, I think most of them already knew what was coming. However no one could’ve predicted such a storm of a set. Alwaid walked on stage like they owned the place and burst into one hell of a set, despite the fact the band had been traveling from France overnight. Playing massive tunes off of their album Lacus Somniorum such as ‘Hei! Aa-Shanta Nygh!’ and ‘In The Darkness of Daylight’. The whole set had that it factor that just put them over the top. Every instrument and the vocals came through as clear as crystal and sounded great. I was too busy rocking out to notice the actual stage performance but from the glimpses I caught, Marie and Max were very much the centre of the show whilst the rest of the band played around them. All of their songs got massive responses, the band had nearly finished when the crowd insisted on one more song, when in fact we got two more. Again showing their popularity. This was one hell of a set and for many the height of the day. After what felt like a long interval, the fourth band of the day La-Ventura hit the stage. Once again they were absolutely brilliant and their set was quite refreshing. As they do not play your standard symphonic style metal but rather a more nu-metal/alt rock type sound. This was most welcome to my ears as the bass relentlessly pounded and the guitars roared away. 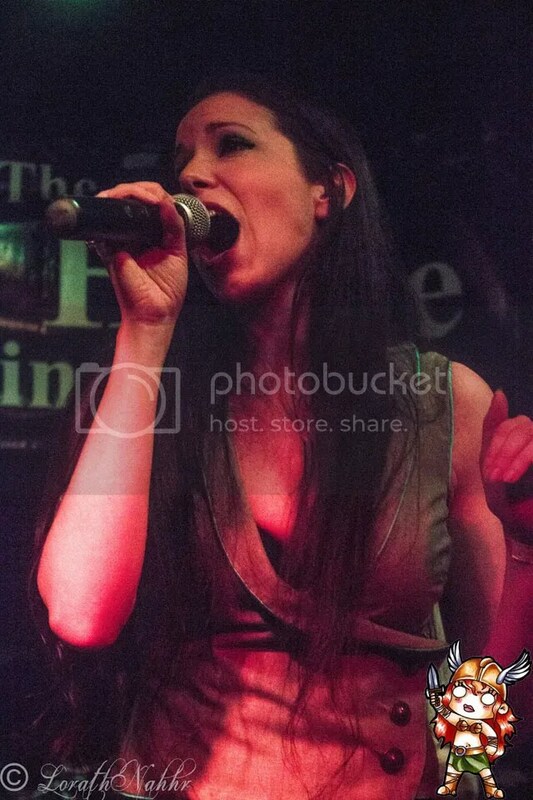 Singer, Carla Van Huizen descended from the stairs above the stage and performed a corker of a show. The whole thing felt much more casual than the previous two. As La-Ventura’s sound doesn’t go for that epic flair that the previous sets have done. Instead their songs are much more grounded and hard hitting, just some good old fashioned rocking out was going on. Again the crowd was into it but clearly burned out by this point it, the cheers were still coming though. However I felt like something was missing from the set, it was almost like there was no real atmosphere which was a bit of a shame. The band marched on with the set including big songs like ‘White Crow’, ‘Falling Down’ and the big single ‘Song for an Idiot’, this got the crowd going and by the end of the set, the crowd was hooked and so was I. The crowd screamed breathing that missing life into the final songs of the set. Which relieved me, because I really wanted them to do well. Their performance was great. They had a great stage presence and brilliant personalities. They just looked like they were having fun and that’s the most important thing. I liked this but not as much as the previous two. Still well worth the watch and hope to see them back on UK shores soon. Well, this was the set it was all building up to for me and for many of the day’s patrons. Wildpath are a music lover’s dream. They fun, they have wild and imaginative songs and they can’t be pinned to one genre. You want to know what else? They’re bloody fantastic live as well. They’re energetic and their set flows so well. Mixing and matching all of their songs to form one glorious super playlist of metal, jazz, funk, rock and overall good music. 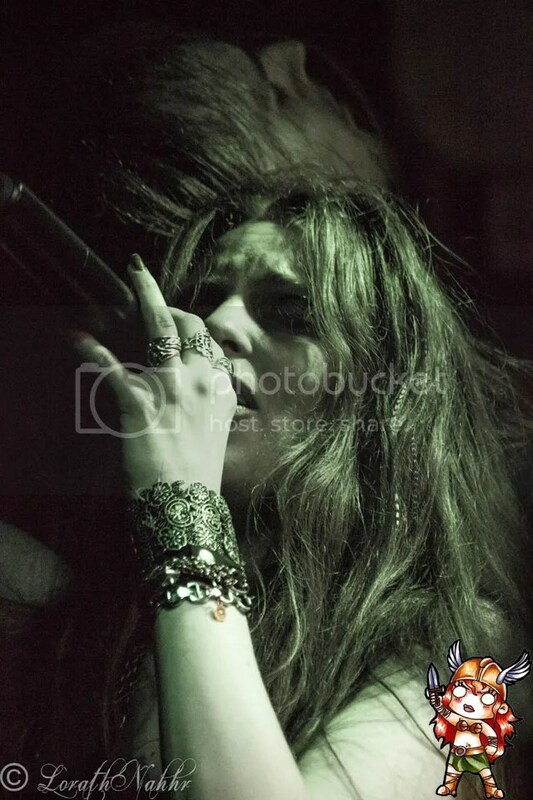 All encapsulated in the symphonic metal sound. The band just sound and look like they’re having so much fun and I’ve said it before, if the band is having fun then the crowd is more likely to have fun with them. My eyes were glued to the stage for the whole show, there was so much to watch, from the technical skill to the dancing and jumping to the comedy of the band just being themselves on stage. Marjolaine Bernard is a fantastic front woman. Making sure the crowd is involved and happy and singing to absolute perfection. Also, she wished me a happy birthday on stage which totally made my day. What else can i say but was a fantastic end to an awesome day. In summary this was an amazing day with some exceptional performances. 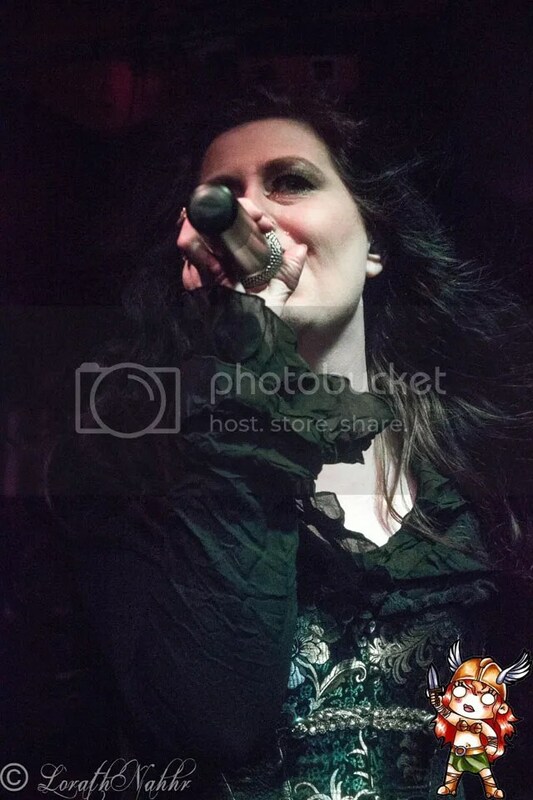 The symphonic metal fans here in the UK are loyal and fun to be around. You know it’s always going to be a good day. With Quinphonic Festival 3 around the corner in October of this year I’m sure that will be another day to remember. 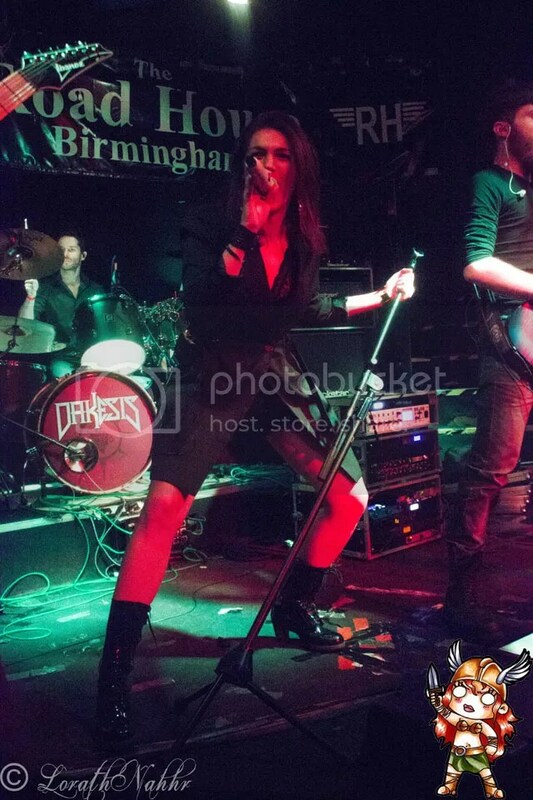 This entry was posted on 11th April 2016 at 5:32 pm and is filed under Festival, Live with tags BIP Medusa, Birmingham, Black Phoenix Rising, Quinphonic Festival, Symphonic Metal. You can follow any responses to this entry through the RSS 2.0 feed. You can leave a response, or trackback from your own site.